In the past decade call tracking has become an essential tool for marketing. Call tracking uses separate phone number for each of a business’ ad campaigns. This means a company can determine which specific ads attract customer. However, many marketing professionals still wonder if call tracking can do more for them. The answer is yes. Call tracking can be the cornerstone of dynamic sales strategies and marketing plan. 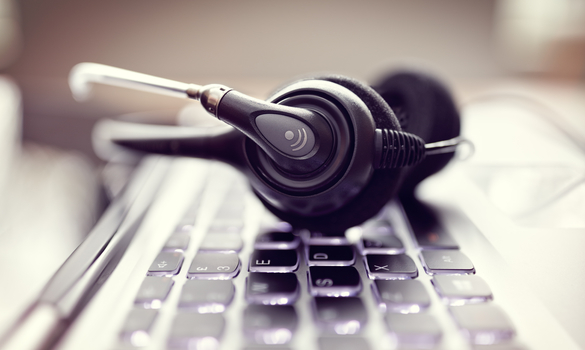 Here are 5 ways call tracking can be optimized to produce a better result for your business. Click-to-call functionality is key to modern call tracking. Today 69% of digital media engagement happens while the customer is using their mobile device. This is a boon for click-to-call functionality. All your customer has to do is click an internet ad they were looking at and their phone calls the company. If they are sent to a website, they are less likely to order. Having Click-to-call functionality guarantees any smart-phone customer has no difficulty giving you information. Another new tool that helps follow repeat customers is Multichannel Attribution. This tool identifies call tracking number with a specific customer. The more that customer buys, the more data is collected about them. This allows your program to create timelines of use for your repeat customers. Multichannel Attribution pools all your call tracking and online tracking tools to give you a detailed look at what your customers do. Call tracking shouldn’t hinder your online presence. One of the common complaints of call tracking is the lack of NAP consistency. Most search engines factor consistency of your company’s name, address, and phone number when ranking you. If call tracking leaves you with different number all over the internet, it will keep you low on the results lists. This can be avoided by making sure you use your existing phone number or by making sure all your different numbers have the same call tracking number. Combining specialized software with cloud services is always a smart move for optimization. This can do a lot more besides protect your data. Reputable cloud providers work hand in hand with telecommunications companies and call center solutions. This guarantees you have access to a large pool of spam-free phone numbers. Cloud solutions can create a seamless call tracking where everything is stored in one place. Plenty of information can be gleamed from call data, but even more can be taken from what the customer says. Many call tracking software now include specialized AI that listens to calls form customers and analyses their language for further hints to serve them. This is the cutting edge in marketing technology. These AI’s can not only offer tips to improve sales numbers, they can work with Multichannel Attribution to predict what each caller is calling for. This can make sales and service calls drastically more efficient as the technology learns to read customers. When it was invented call tracking vastly improved the effectiveness of marketing across the business world. Today a new generation tools have made call tracking even more efficient. Tools like click-to-call and NAP Consistency make sure call tracking is optimized for your operation plan. Multichannel attribution and call analyzation allow companies to better understand their customers. For marketers frustrated over their lack of return on investment, these five solutions can show lasting results.